With over 15 years experience in the natural stone restoration industry, Infinity Floor Restoration Services is your perfect choice when you are requiring to polish your residential concrete floors. We have a simple philosophy, the customer is at the heart of our business, and we always strive to provide a specialised and personalised service. Call Infinity Floor Restoration now for an obligation free consultation for your polished concrete floor requirements. If you own a residential property and are looking to upgrade your flooring, there are many options to choose from. Whether you’re building a new home or renovating an old one, polishing concrete is a solid option. 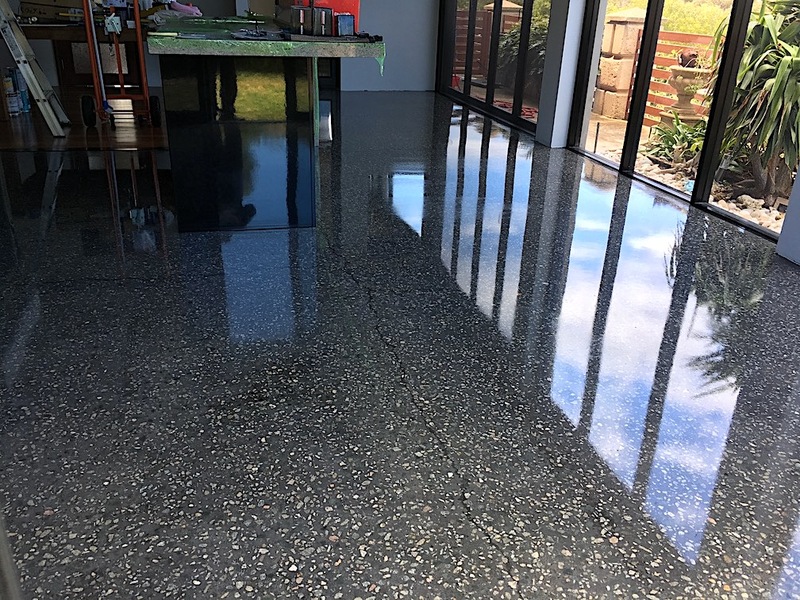 Polished Concrete floors is becoming increasingly popular with Perth homeowners. While many modern home designers opt for polished concrete floors, there are also some practical reasons to consider this design choice. Polished concrete is much more durable than tiling or hardwood flooring— it’s also much harder to stain or damage polished concrete floors. If you’re looking for a convenient and appealing material, it’s hard to go past polished concrete floors. It’s the perfect surface for entertaining guests and preventing damage from children or pets. Additionally, the overall cost of polishing concrete floors can end up significantly lower than other types of flooring. Polishing concrete is affordable and maintaining it is even cheaper. Even if your current home has a different form of flooring in place, you can use the existing concrete beneath it to create a polished concrete floor. It’s an excellent way to make use of the material you already have in your home. While we implement all forms of polished concrete flooring, one of our most consistent choices is HiPERFLOOR – a unique, patented form of polished concrete that is a pay-grade above other options. HiPERFLOOR polished concrete floor finishing provides an extremely aesthetic outward appearance. Its shiny texture is coupled with a range of additional features. It’s also grout free, hypoallergenic, and further improves the scratch resistance of the polished concrete surface. Infinity Floor Restoration, hold a certification as an approved Husqvarna contractor. This means our firm is recognised for its commitment to excellence when polishing concrete. We have the experience and accreditation you need to implement your next polished concrete floor successfully. 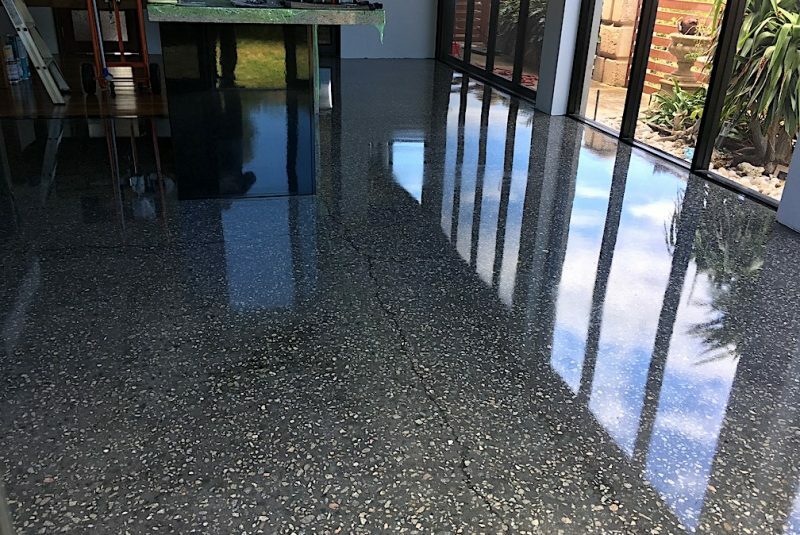 If you’re looking for a polished concrete floor specialist in Perth, it’s essential to choose the team with the most experience. Implementing a polished concrete floor is no easy job. It takes a team with considerable experience to polish concrete. Not only does Infinity Flooring have the qualifications needed to polish concrete, but we have over 15 years of experience in the flooring industry. Our entire team is trained to BICS standards. If you need your residential concrete floor polished, get in touch with our team today!